I saw an ARRL email blurb mentioning that Radio Shack will be coming to North Carolina and other states in the form of hobby express stores. HobbyTown I think is the organization that bought it and so they want to begin opening express stores for Radio Shack products for all the hobbyists. there is a new free online course that offers a completion certificate for those who successfully complete the final exam online. Some have GPS units, while others have the magnetic compass. Still others have paper maps or smart phones running applications for orienting. And let us not forget the Internet and the many mapping and orienting resources there. If you are doing any computing in your shack, I would suggest wiring some good RH-45 cable to support your local area network. Avoid the 10/100 gear and use stuff rated for 1000 Mbps or higher. This might be your best opportunity to have it in place for stability of network and internet. I wanted to offer up my own web site hosted on QSL.NET for anyone interested in ham stuff like geolocation tables and beam headings for local hams and beyond. These times are good on Fridays and Saturdays, but the links remain active all the time. I am active in amateur radio almost every day. I wish to invite everyone to Natter Nights with G7AVU and GB3VL (Video Lincoln) in the UK. We are active after 1900 UK Local Time at TinyURL.com/g7avu-atv or at TinyURL.com/gb3vl-atv-uk . 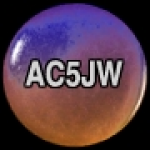 All radio amateurs and general public are invited to check out my ham web site at http://www.qsl.net/ac5jw/ for many things ham radio.